You will sign the Compromis de Vente (sales agreement), ensuring that it contains the ‘Clause Suspensive’ stating that the purchase is dependent on you obtaining a French Mortgage. If the bank declines the French Property Mortgage for any unforeseen reason, then all monies including the deposit will be returned to the buyer in full. There will be a time limit for applying for your French Mortgage stipulated in the ‘compromis de vente’, normally this is 10 days. This is the time in which you have to submit your French Mortgage application to the lending bank via your Independent French Mortgage Broker – you then have around another 30 days to have the Mortgage offer in place. It is important that the financial details of the operation: the loan amount, the name of the lending bank, the interest rate and the length of the French Mortgage are defined in the compromis de vente to avoid problems later. In many cases we suggest you fax or scan a copy of the compromis de vente to French Mortgage Xpress so that we can ensure that the financial details of the purchase are correctly defined to protect your interests. 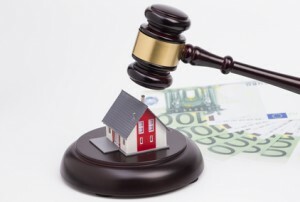 If you do not intend to obtain a French Mortgage on your property, you are expected to write in your own handwriting that you intend to give up your rights under this law. This is not always wise, since should you subsequently decide to obtain a French Mortgage, and fail, then you will lose your deposit. If, however, the seller will only consider your offer without you having recourse to a French Mortgage, then French Mortgage Xpress can advise you on how to proceed by pre-approving your loan application to significantly lessen the risk of losing your deposit.